Good Beer Week is over and I thought I better bring myself back to earth with a lager. Fiji's national lager is now being brewed in the capital Suva again, after many years of it being brewed in Melbourne. Despite this, it will be the first time I've ever had it. 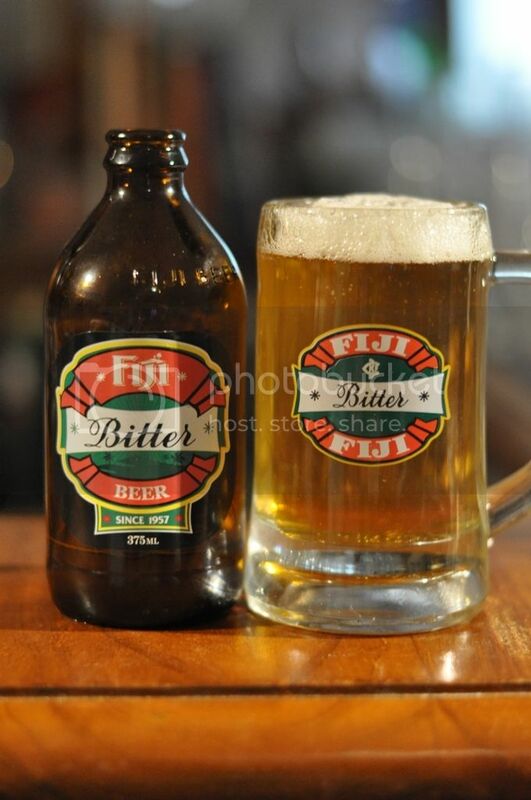 Fiji Bitter holds one of the biggest market share's I can think of in it's native country. Coca-Cola (their owner) states their market share in Fiji is over 90%, while other sources put the figure closer to 96-97%! They are insane numbers, but don't exactly fill me with confidence... With those sort of figures they don't really have a need to produce a quality product. The pour actually allays my fears a little. The body of the beer is a nice deep golden colour with a thin head of white foam. This head initially dissipates quickly, before settling to a film that covers beer throughout drinking. 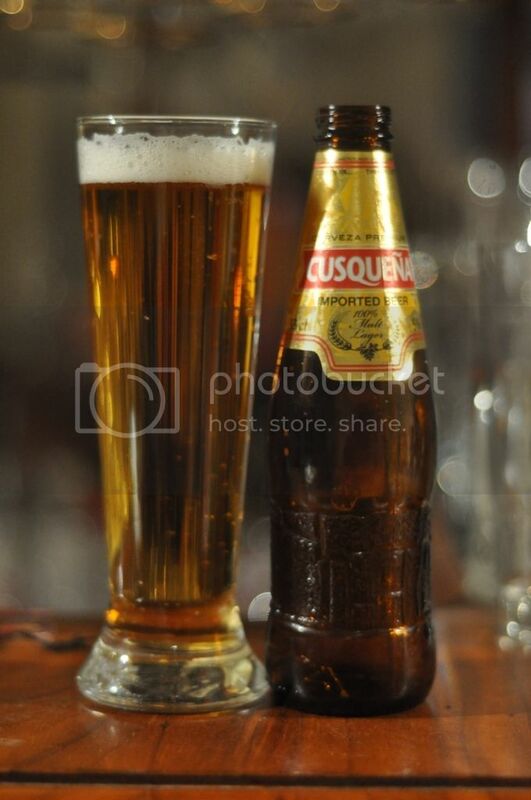 In terms of appearance it would be pretty hard to fault this lager, it's a really nice looking beer. Onto the nose and this is where it started to go downhill. I will start with the positives though, there were some relatively clean grains and some slightly bitter grassy hops. That's where the positives end though... There is this odd metallic aroma, which is exacerbated by this odd dead vegetal muskiness. If you think that sounds bad; there is also this odd sour apple aroma which just isn't doing it for me. Fiji Bitter certainly doesn't pass the inoffensive lager aroma test. Thankfully Fiji Bitter tastes better than the nose indicated it would. It actually tastes like a reasonable pilsner. The grain bill is not overly sweet, always a positive, while the hops pack more than enough grassy bitterness. There are faint earthy and herbal qualities, but you have to be looking for them to notice them. It's got very low carbonation and is particularly quaffable. If you were to drink Fiji Bitter from the bottle, I think the slightly off putting nose issue would be solely dealt with. Other than that it's a nice easy drinking lager, which I'm sure you could do much worse than if you were in Fiji. It's not a lager that I would drink regularly, but I also wouldn't turn it down if I were offered it again. Fiji Bitter is a beer that I could envisage myself knocking off many lying on a beach (probably in Fiji! ).